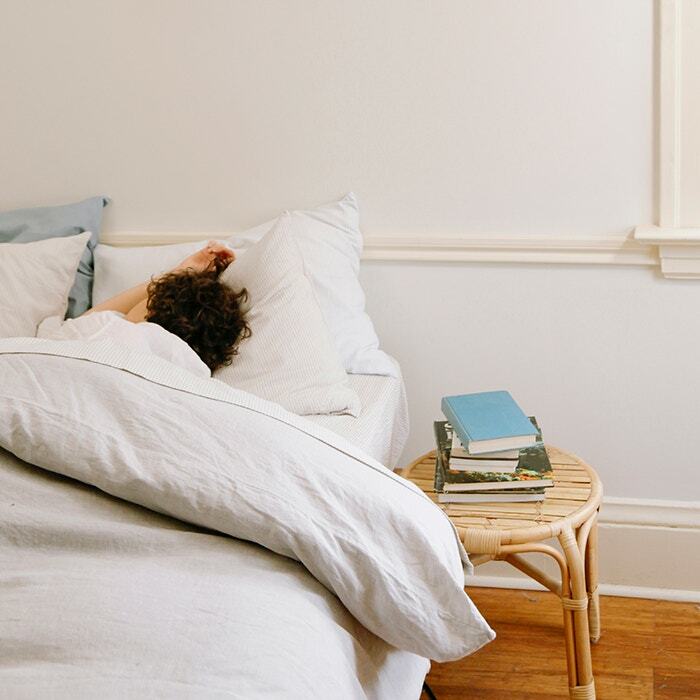 Twill has long been a staple in suiting and upholstery, lauded for its durability, drape, and pliable nature, so we chose to give it the bed sheet treatment with GOTS-certified organic cotton in a smooth, soft washed finish. The cotton plants that we use aren’t just organic either — they require 91% less water to grow than conventional cotton. It’s all the environmental benefits of organic farming, combined with vital water conservation efforts for a healthier, happier planet. 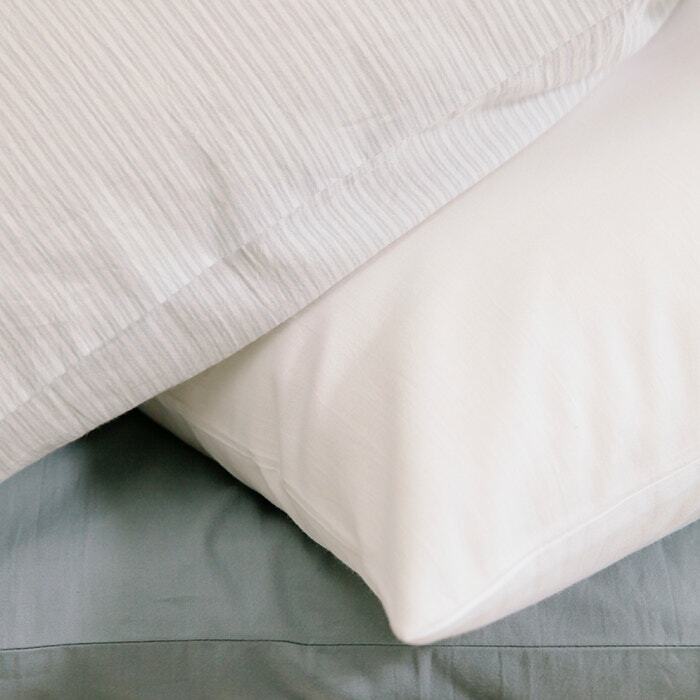 Our take on twill blends the crisp smoothness of percale with the silky touch of sateen, creating a relaxed, matte finish that’s washed for lived-in softness. In technical terms, twill is made using 2 warp yarns over 1 weft and with a semi-combed 40s yarn. Comparably, sateen is a 60s yarn and made with 4 warp yarns over 1 weft. Sateen has longer floats and finer yarns, which gives it the drape, shine, and feel that characterizes traditional sateen. Our twill has a similar drape to sateen, but is designed to feel more casual and relaxed by way of the chosen yarn, dry hand, and soft wash. 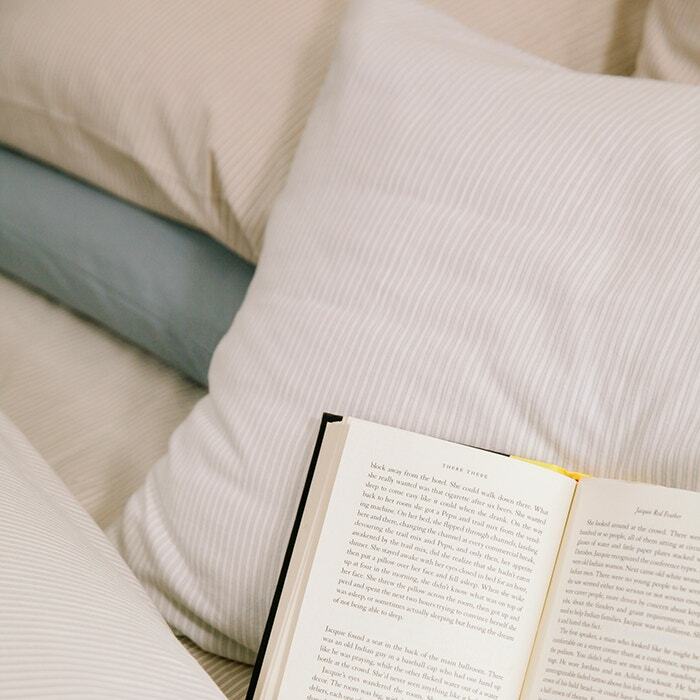 The new Soft Washed Organic Sheets feel right at home with all of our Coyuchi bedding favorites, designed to fit right in with our core color palette of coastal grays, blues, and neutrals. Along with classic solids, the twill collection is also available in new yarn dyed stripes, which are woven into the fabric instead of printed, creating a durable, uniform pattern from front to back. 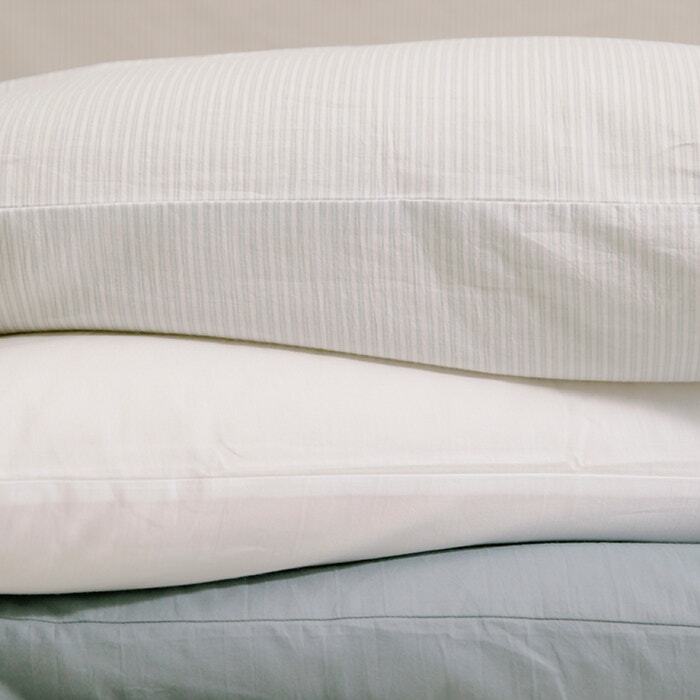 So your stripes last longer, wash after wash.
Organically grown, minimally processed, and sustainably made every step of the way, the Soft Washed Organic Sheets prove that it’s time to rethink twill. 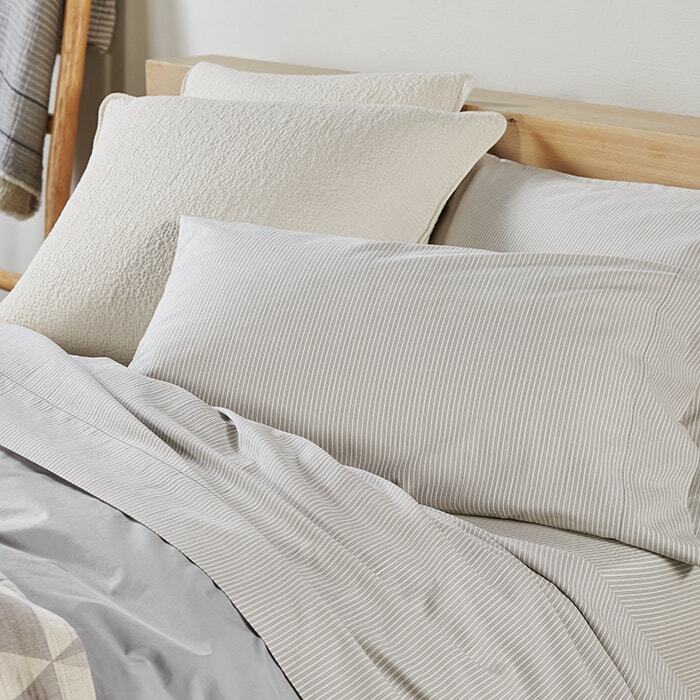 Naturally casual and cozy, it’s the cotton sheet set you can’t wait to get between.